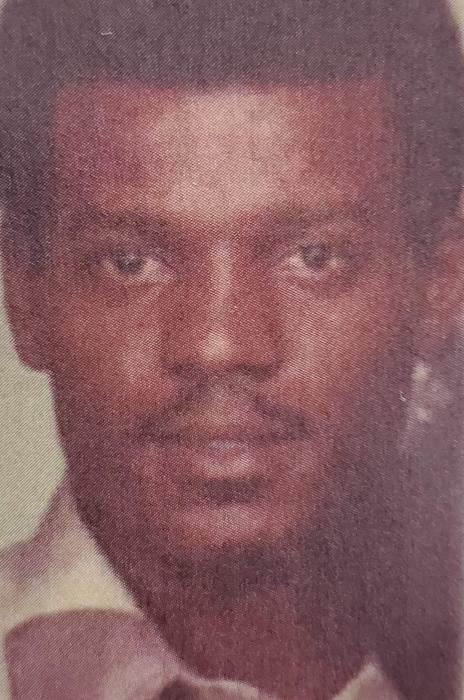 Mr. Donald Caple, 68, of Lumberton transitioned from time to eternal rest on April 5, 2019.Donald Wayne Caple was born on February 22, 1951 in Lumberton, North Carolina. He was one of eight children born to Pearl James and Mary Louise Caple. His parents preceded him in death. Donald joined First Baptist Church, Lumberton, NC at an early age. He reconnected with his church through and by the bible studies led by his pastor, Reverend Paul Matthews, and Reverend Jimmy Jones during his stay at First Baptist Homes. Donald was educated through the public schools of Robeson County. After which he attended Robeson Community College where he received an Associate’s Degree in Electrical Engineering. He was a licensed electrician. His employment years began at Westpoint Pepperell where he was an electrician in their maintenance department for over twenty years. God blessed Donald with the gift of ingenuity and he loved it. He wired many houses and businesses. He took pride in the work that he did. Donald had strong opinions and always loved to hold a conversation to express them. He loved to give advice and share his knowledge. Most of all, he loved his family and his Lord and Savior Jesus Christ. Donald was preceded in death by two brothers, James Alexander Caple and Thomas Roger Caple, and by three sisters, Mary Margaret Martin, Daisy Ruth Caple Palms, and Melba Devon Caple. Donald leaves to cherish his memories and celebrate his life: His children – Donald Wayne Dewitt of Washington, DC; Greta Dewitt Thomas (Gary) of Waldorf, Maryland; Chauntel Evette Campbell of Fayetteville, NC; Brandon Antonio Barnes of Fayetteville, NC; Monté Quintez Barnes of Fayetteville, NC; and Renita Nicole Barnes of Lumberton, NC; and his Grandchildren – India Thomas, Dontre Dewitt, Donae Dewitt, Donyelle Dewitt, and Chloe Campbell. His memories will continue on through his sister Alice Faye Caple McLean-Melvin of Lumberton, NC, his brother Frankie Edward Caple of Fayetteville, NC, and his step-brother, James Levern Baldwin of Fairmont, NC, a special friend, Earnestine Hill of Orrum, N.C.; as well as a host of nieces, nephews, great-nieces, great-nephews and many friends.